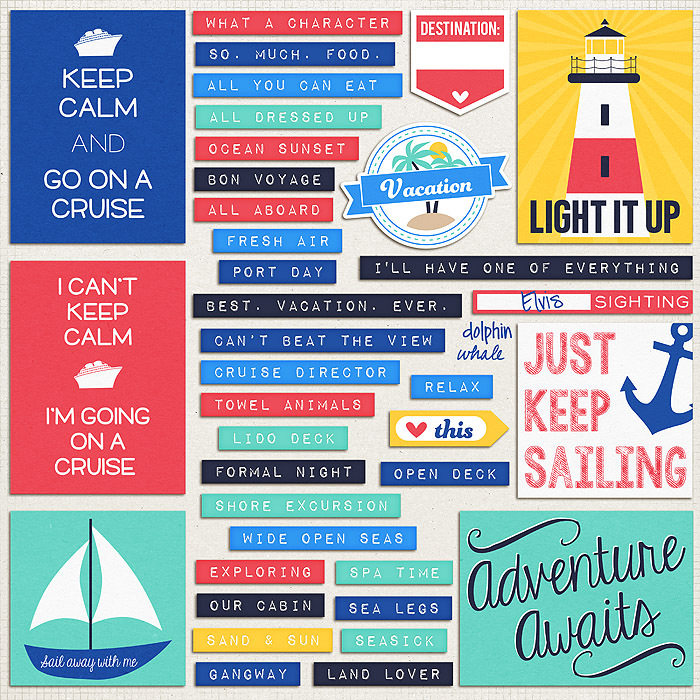 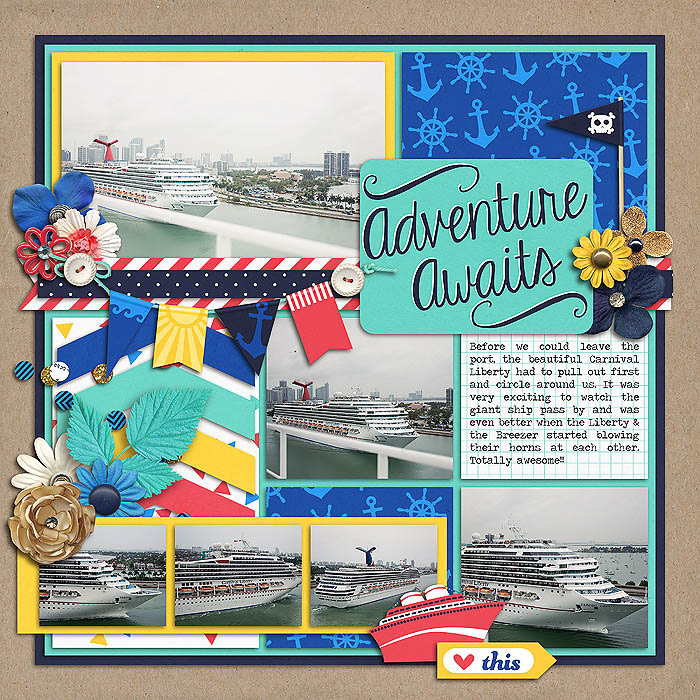 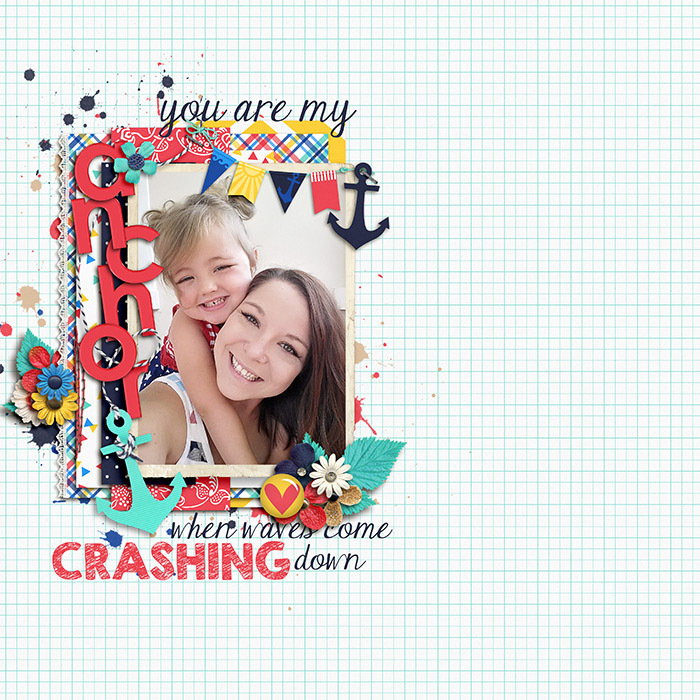 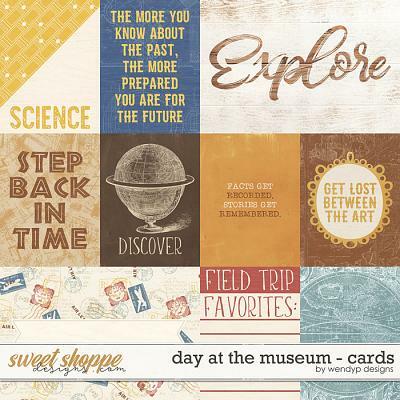 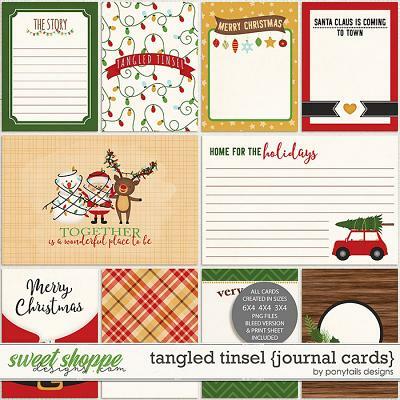 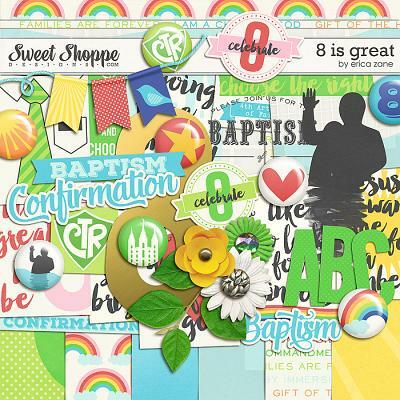 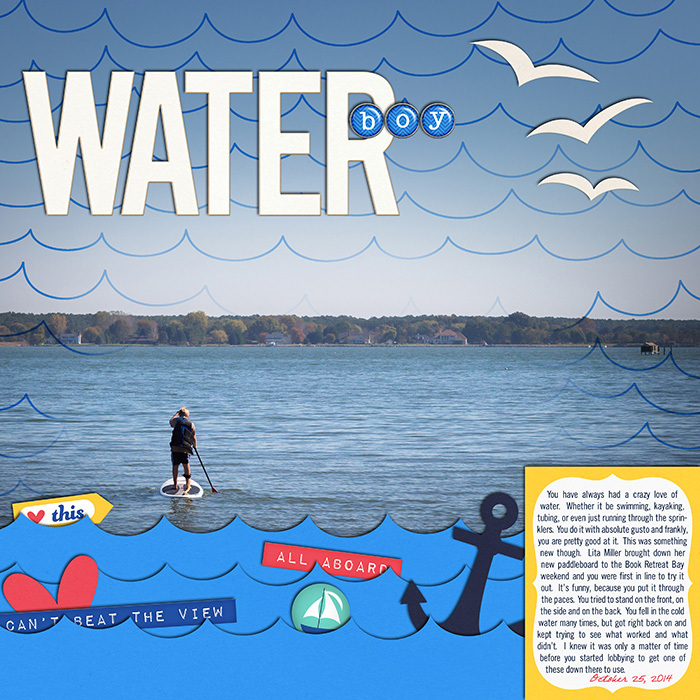 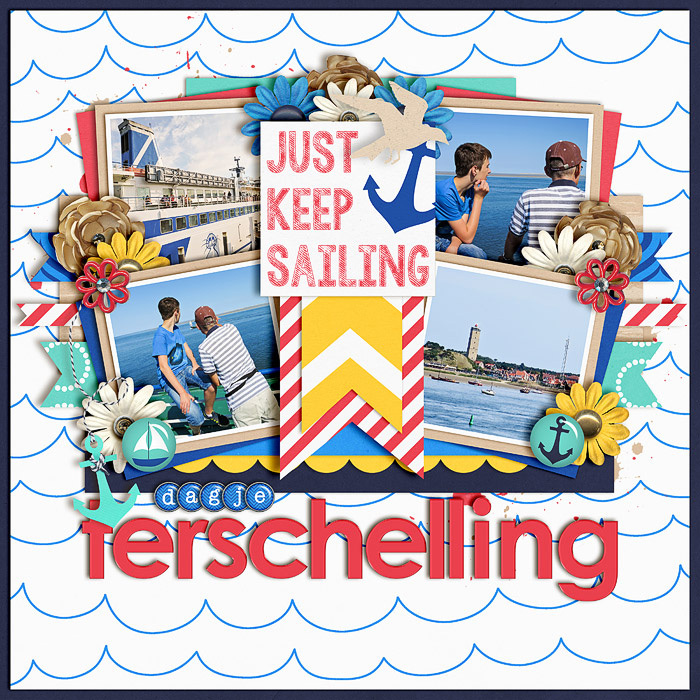 A digital scrapbooking kit by Erica Zane, Cruisin' is a fabulously fun (and rather large) cruise/ocean/sailing kind of kit overflowing with goodies! 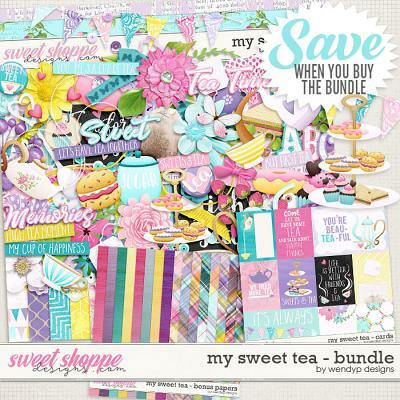 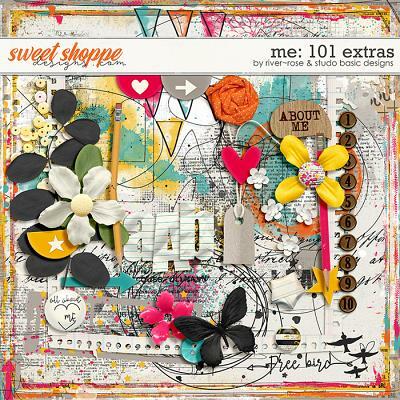 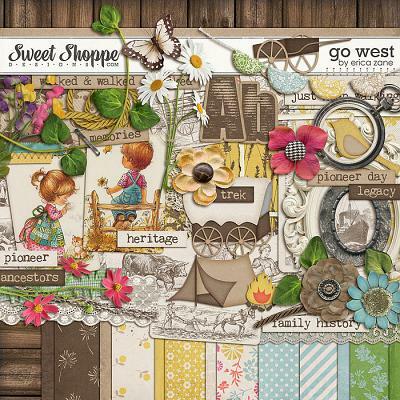 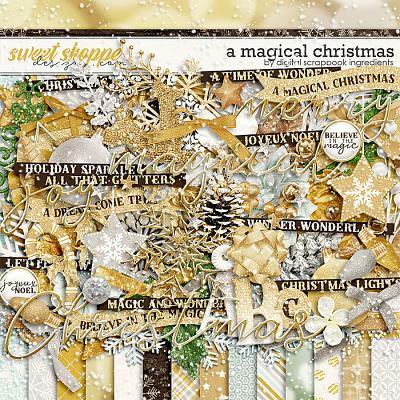 Packed with 20 digital scrapbook papers, more than 100 digital scrapbook elements and 3 digital scrapbook alphabets (all saved as individual .png files). 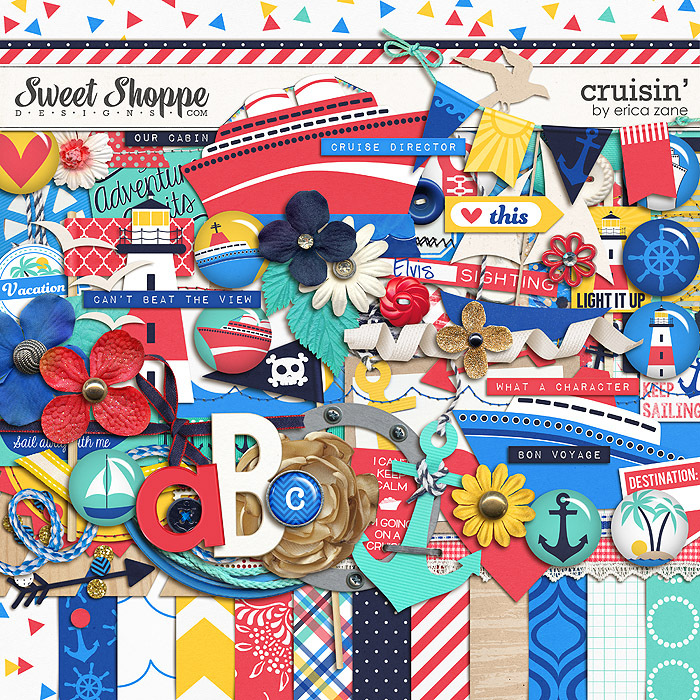 The elements include: 38 word art pieces, 11 flowers, 10 pieces of flair, 5 frames, 5 ribbons, 5 sets of stitches, 4 buttons, 3 paint spills, 3 journal cards, 3 pieces of tape, 2 strings, 2 leaves, 2 flags, 2 cruise ships, sailboat, porthole, arrows, banner, birds, chevron, lighthouse, anchors, ship wheel, life vest/preserver, bow, heart, confetti scatter, piece of lace, tag, sun, wave trim, and a staple.